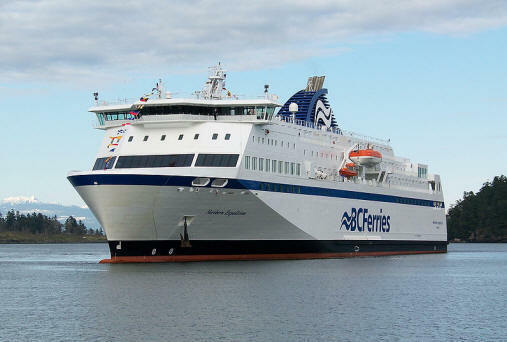 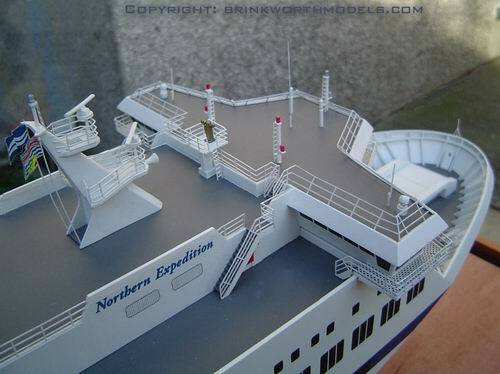 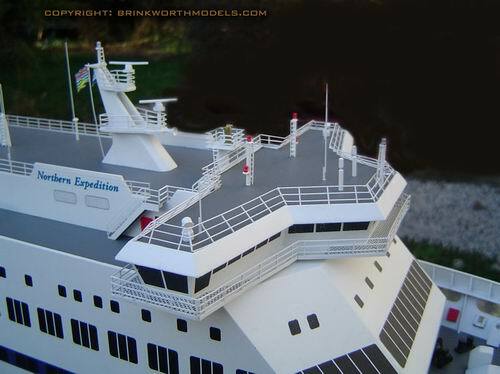 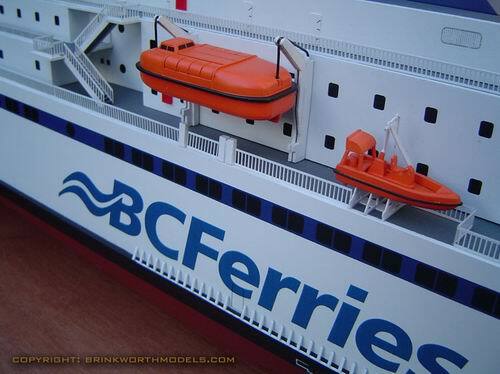 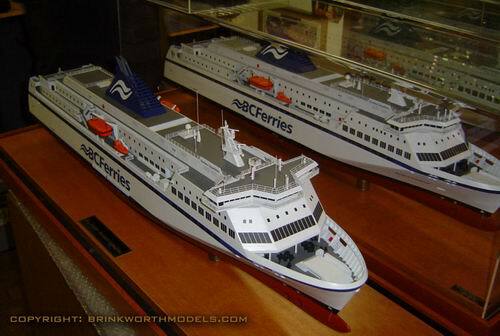 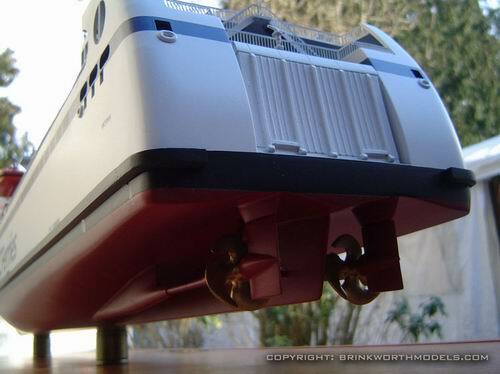 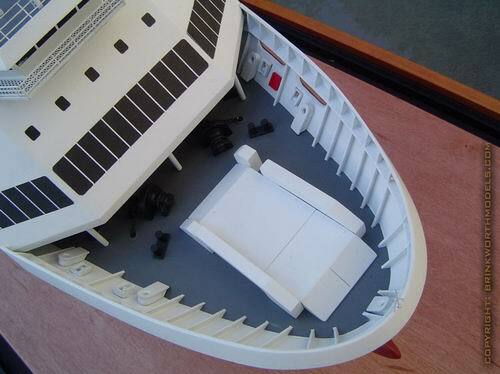 Built to a scale of 1:150, the five models below, of the "MV Northern Expedition", were commissioned by BC Ferries in Canada, to promote their latest ferry at that time, which had been built in Germany, by "Flensburger" ship builders. 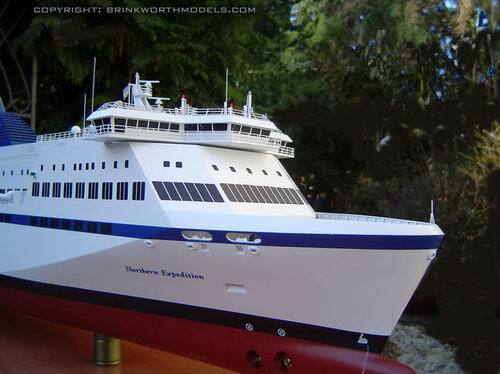 On the left, "MV Northern Expedition" arrives in Nanaimo, BC, March 2009, after it's delivery trip from the builders in Germany. 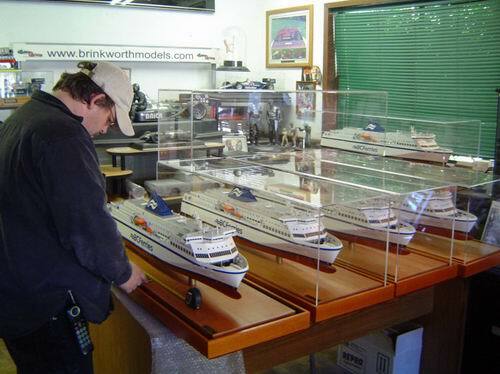 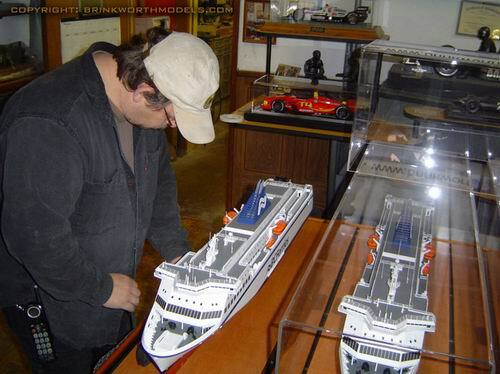 Below, Barry putting the final touches to one of our five ferry models just before leaving our workshops in Richmond BC Canada. 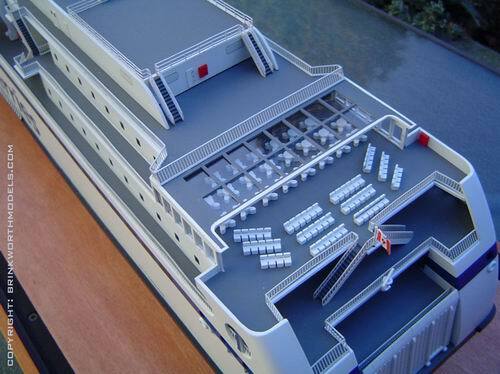 Always a very satisfying and proud moment when a large project, as prestigious as this, is finally completed, and ready to go.